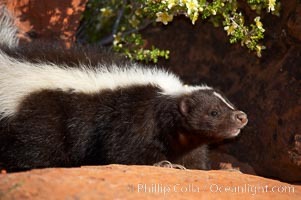 Striped skunk. 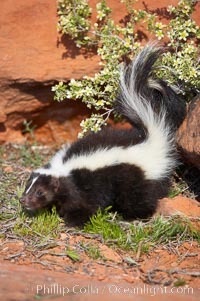 The striped skunk prefers somewhat open areas with a mixture of habitats such as woods, grasslands, and agricultural clearings. They are usually never found further than two miles from a water source. They are also often found in suburban areas because of the abundance of buildings that provide them with cover. Mephitis Photo. 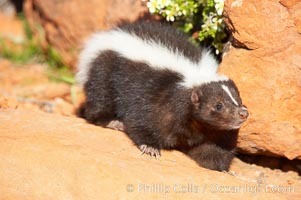 Striped skunk. 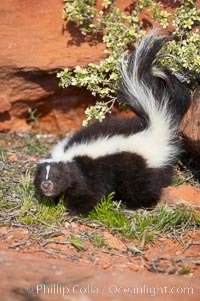 The striped skunk prefers somewhat open areas with a mixture of habitats such as woods, grasslands, and agricultural clearings. They are usually never found further than two miles from a water source. They are also often found in suburban areas because of the abundance of buildings that provide them with cover. Mephitis Picture. 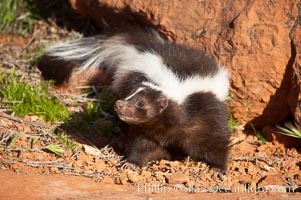 Striped skunk. 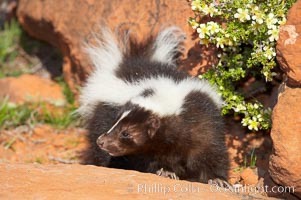 The striped skunk prefers somewhat open areas with a mixture of habitats such as woods, grasslands, and agricultural clearings. They are usually never found further than two miles from a water source. They are also often found in suburban areas because of the abundance of buildings that provide them with cover. 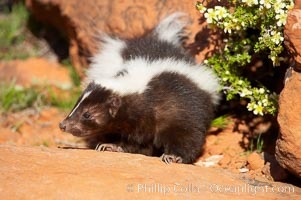 Stock Photography of Mephitis. 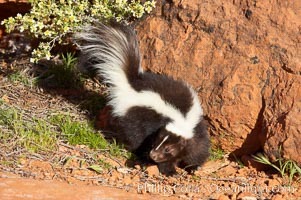 Striped skunk. 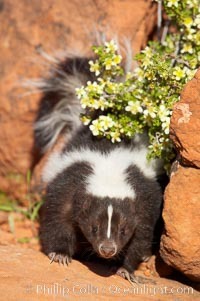 The striped skunk prefers somewhat open areas with a mixture of habitats such as woods, grasslands, and agricultural clearings. They are usually never found further than two miles from a water source. They are also often found in suburban areas because of the abundance of buildings that provide them with cover. 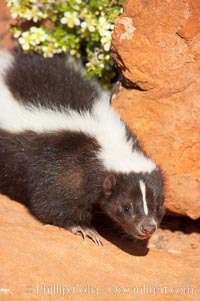 Photograph of Mephitis. 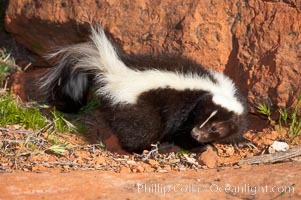 Striped skunk. 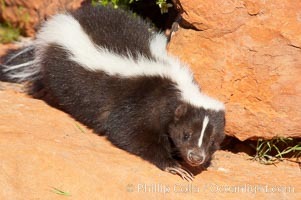 The striped skunk prefers somewhat open areas with a mixture of habitats such as woods, grasslands, and agricultural clearings. They are usually never found further than two miles from a water source. They are also often found in suburban areas because of the abundance of buildings that provide them with cover. Mephitis Photos. 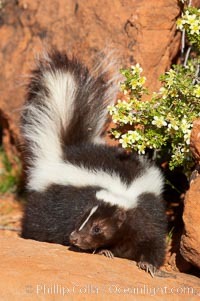 Striped skunk. 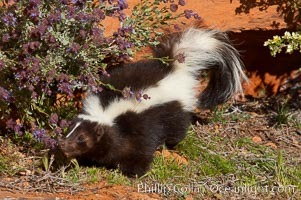 The striped skunk prefers somewhat open areas with a mixture of habitats such as woods, grasslands, and agricultural clearings. They are usually never found further than two miles from a water source. They are also often found in suburban areas because of the abundance of buildings that provide them with cover. Mephitis Image. 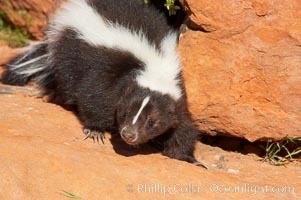 Striped skunk. 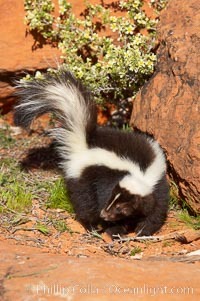 The striped skunk prefers somewhat open areas with a mixture of habitats such as woods, grasslands, and agricultural clearings. They are usually never found further than two miles from a water source. They are also often found in suburban areas because of the abundance of buildings that provide them with cover. Professional stock photos of Mephitis. 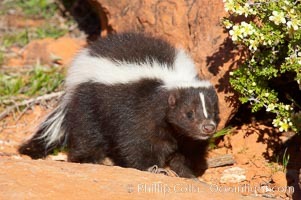 Striped skunk. 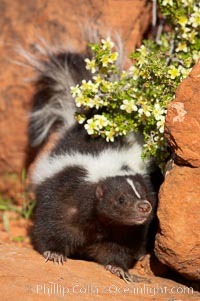 The striped skunk prefers somewhat open areas with a mixture of habitats such as woods, grasslands, and agricultural clearings. They are usually never found further than two miles from a water source. They are also often found in suburban areas because of the abundance of buildings that provide them with cover. Pictures of Mephitis.